Automatic Environment Management: This advanced feature of the Gem+ hearing aid is constantly monitoring the hearing environment of the user, and adjusting the appropriate hearing aid settings to deliver the best hearing quality possible. Automatic Equalizer: The hearing aid’s automatic equalizer adjusts the hearing aid’s settings depending on the user’s sound environment, helping to deliver a high-quality, and comfortable listening experience. Automatic Multi-Channel Adaptive Directional Microphone: This feature helps to deliver improved speech hearing and understanding in noisy environments, especially those in which many people are talking at the same time. This technology can help make in-noise conversations much easier. Automatic Noise Reduction: This feature constantly monitors distracting background noise, and softens it. At the same time, this feature enhances speech signals, further improving the ease in which the user can have a conversation in a noisy environment. Sound Locator: This feature helps to imitate the natural function of the user’s outer ear (pinna). With the Sound Locator feature, the Gem+ hearing aid can help users pinpoint sounds in his or her environment. Feedback Preventer: This advanced feedback cancellation technology eliminates annoying whistling before it is noticed by the hearing aid user or those around them. With some hearing aids, this whistling can occur while talking on the phone. With the Gem+ hearing aid and the Feedback Preventer feature, users can enjoy conversations on the phone without feedback. Sound Radiance: This feature delivers high-frequency sound hearing to those who may have lost it. With high frequency hearing returned, users can enjoy a wider, fuller spectrum of sounds. This can provide added enjoyment of music, conversations, or sounds in nature. SoundSmoothing: This feature softens the occasional impulsive sounds of everyday life. Dishes rattling, paper rustling, and other loud sounds are dampened and are made less unpleasant for the Gem+ wearer. Wireless Assistant: This feature makes wearing binaural instruments easier, as adjustments can be made to multiple hearing aids with the touch of a button. Advanced Nano Coating: This coating helps protect the user’s hearing aid from damaging water and wax. 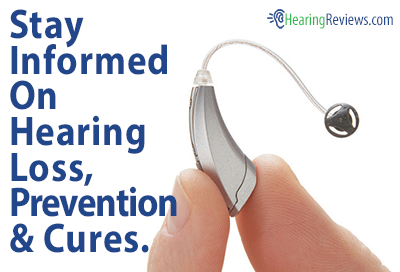 Protecting the hearing aid from these naturally occurring substances can help extend the life of the device. The Gem+ hearing aid is also compatible with a remote control that allows for discreet control of the user’s hearing aid. 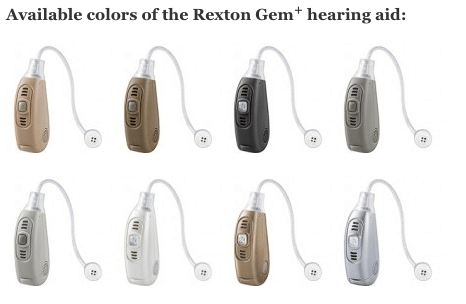 The Gem+ hearing aid’s compatibility with Rexton’s remote control allows users to make easy, quick, and discreet adjustments to the volume and program settings of his or her hearing aid. 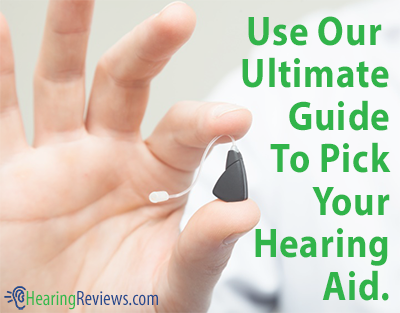 Because of its small size and easy use, nobody else will know an adjustment is being made to the hearing aid.